Dr. Carol S. Kelly, 77 of Simi Valley, California, died Friday, February 10, 2017 at Los Robles Hospital & Medical Center in Thousand Oaks, California. She was born May 15, 1939 in Marion to the late Leland M. and Vera (Beers) Kelly. Carol was a keynote speaker and conference organizer for national and international conference advocating for children. She began her career at California State University, Northridge in 1969. She provided key leadership in developing and implementing the interdisciplinary program in child development, and working across and beyond campus to strengthen the program — which later became the Department of Child and Adolescent Development. 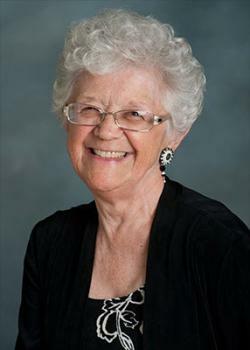 Having established a legacy through her teaching, she continued to mentor students and alumni as a professor emeritus. Last year, she received the Lifetime Professional Achievement Award from the Association for Child and Youth Care Practice at the 33rd FICE (International Federation of Educative Communities) Congress in Vienna, Austria in August. She is survived by a daughter, Amber Taylor, Farmington, New Mexico; two granddaughters, Eliza Taylor, Farmington, New Mexico; Reyna Taylor, Simi Valley, California; a great-grandson, Samson Taylor; two sisters, Marilyn Rabbitt, North Palm Beach, Florida; Patricia Kelly, Marion. She was preceded in death by a brother, Merle L. Kelly. A memorial service will be held Sunday, April 23, 2017 at 1:00 PM at the Richwood First United Methodist Church with Pastor Joe Rhea officiating. Private burial will take place at a later date in Claibourne Cemetery. Pat, So sorry to hear that Carol Sue had passed. I am keeping you and the family in my thoughts and prayers. So sorry to hear of Carol's passing. Your family is in my thoughts and prayers.. So sorry to hear that Carol had died. I wish the best for the family. My condolences to the family of Dr. Carol Kelly. My Mom talked about Carol quite a bit as we were growing up. I am sorry I never had the pleasure of meeting such a fine lady. My Mom, Patsy Marvin Hoffman passed in Feb 1993. Prayers to your family. Dear Pat and family. We are so sorry for your loss. Please accept our deepest sympathy and may God watch over you all during this difficult time. Carol Sue was a wonderful member of the class of 1957.She contributed much and well liked by everyone.I remember walking her home to their North Franklin home on many occasions to just talk about whatever.I don't ever recall her running other people down.Just a very nice person. So sorry to hear about losing Carol. Yet pleased to know that Pat was with her during her final hours. We will be thinking about Carol and your family on April 23. My deepest of sympathies to the family, and thank you for sharing her with all of us students over the years. Dr.Kelly will be truly missed by all. I was honored to have her as my professor & friend for the last 10years. She will forever be in the hearts & memories of many.